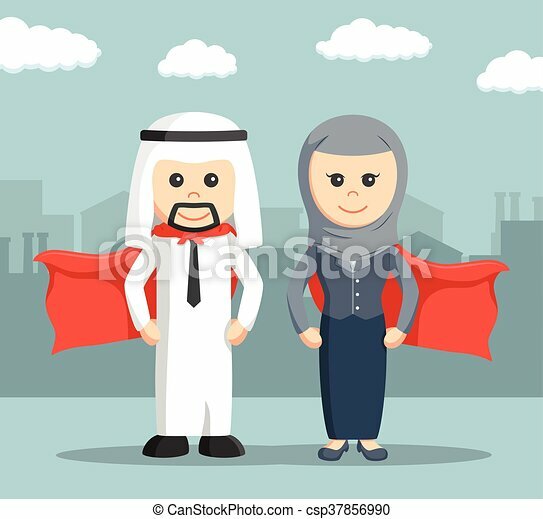 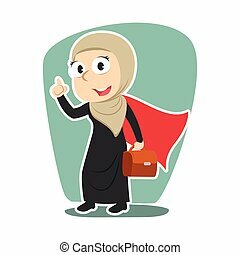 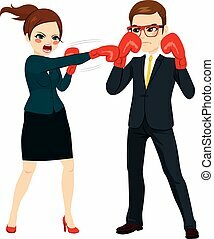 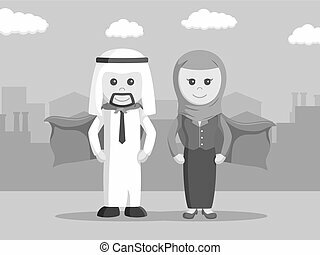 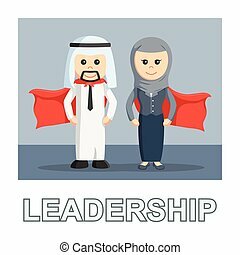 Businessman super and businesswoman super of arab. 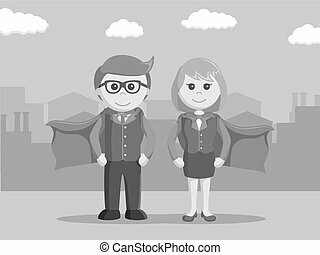 Super businessman and businesswoman. 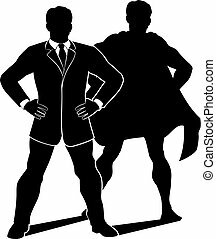 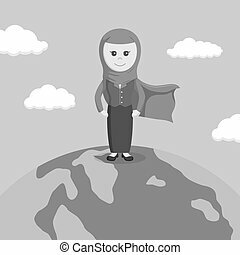 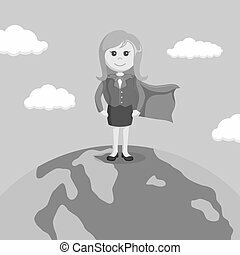 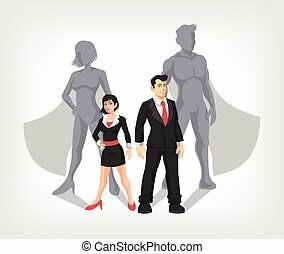 business superhero and leadership concept. 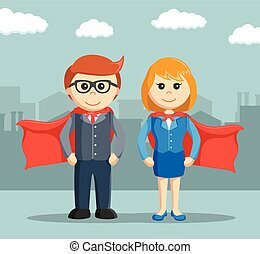 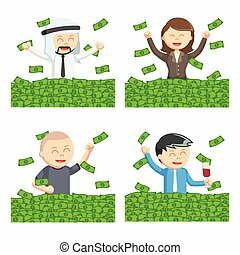 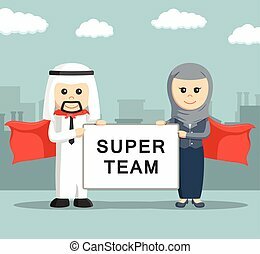 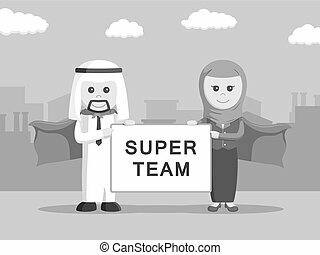 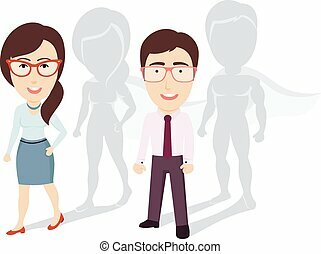 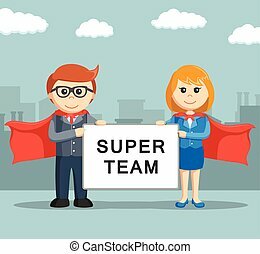 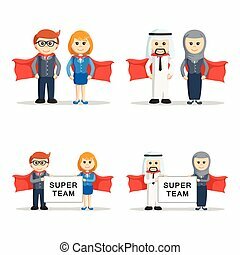 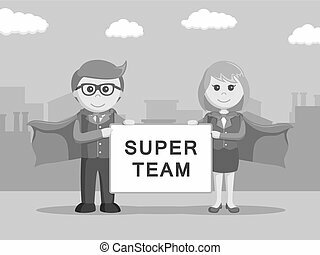 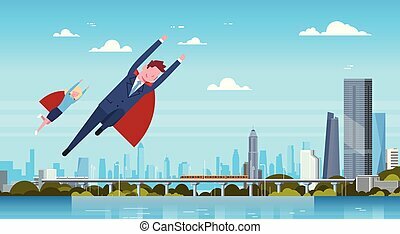 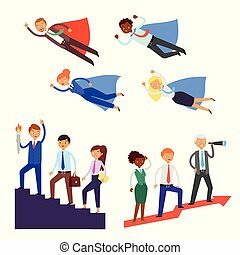 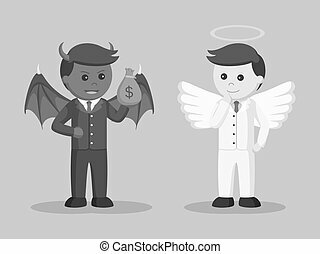 Team leader vector businessman or businesswoman character super hero leading corporate teamwork illustration set of business people in leadership success working isolated on white background. 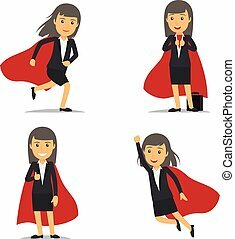 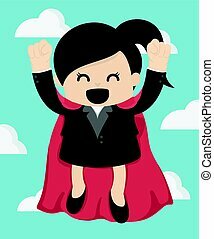 Businesswoman superhero, Super business woman, dressed in red cloak. 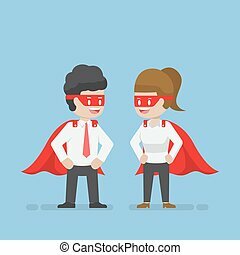 Vector illustraton. 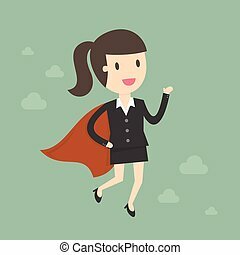 Super Business Woman. 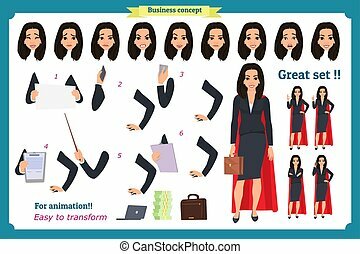 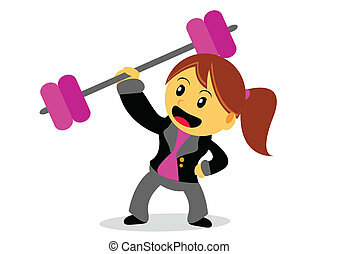 Business Concept Cartoon Illustration.